Iceland would be better off replacing its currency with the Canadian dollar. So say Icelandic economists, who believe the move - which remains a possibility - would help stabilize the small northern country's ailing economy. "If Iceland opts for another currency, it would slash interest rates in half, which would mean massive improvements for households and that would also help drive investments, create jobs and increase disposable income," says Heidar Gudjonsson, the chairman of Iceland's Center for Social and Economic Research. Gudjonsson and Arsaell Valfells, assistant professor of finance at the University of Iceland, said the adoption of the Canadian dollar as national currency is highly likely and would be favorable for the country. It may help put an end to Iceland's capital controls, and foreign investment would come back to the country, helping to restart the economy and restore productivity back to levels seen prior to Iceland's 2008 banking collapse, Gudjonsson was quoted as saying by the Canadian National Post. Iceland was one of hardest-hit countries by the 2008 financial crisis when the krona depreciated sharply against the US dollar. Since 2008, it has lost about half of its value. A small currency subjects Iceland to high volatility. 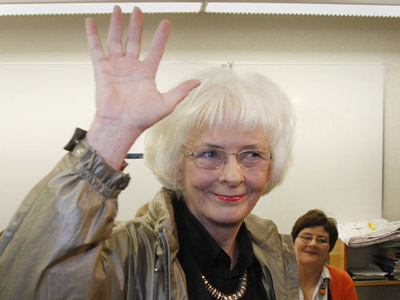 Before the global crisis, money flooded into Iceland's economy, with the krona growing strong and making Iceland rich. When the economy crashed, the money rushed out, and the krona collapsed. It is not clear what Iceland will do with its currency and, if it were to opt for another currency, which one it would select. The country’s government has discussed adopting the Canadian dollar, which is a stable currency. Canada says it is open to discussing the issue, but so far the Icelandic government is not planning any formal talks with Canada. So far the country’s population agrees on the need to ditch the krona. Seeking eurozone membership, the country’s ruling Social Democrats favor the euro, while the opposition Progressive Party has been pushing for the Canadian dollar since last summer. 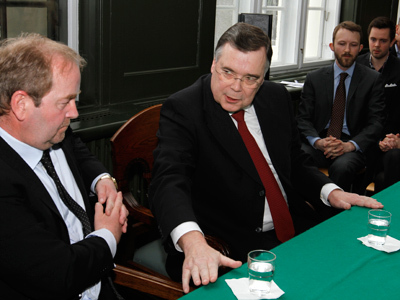 Gudjonsson said that Iceland and Canada have common background and close historic ties – Canada is home to about 200,000 people of Icelandic descent – and it would be easier for the public to accept the Canadian currency over the euro. However, Iceland and Canada do not trade much. 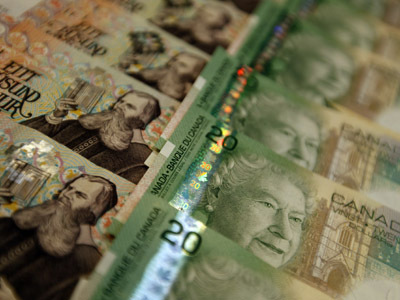 “Iceland doesn't even need Canada's go-ahead to unilaterally adopt the Canadian dollar. All it needs to get rid of the krona is to purchase about C$300 million of physical Canadian currency from a Canadian bank, ship it back to Iceland, pass an emergency law to officially move to the Canadian dollar and put it in bank machines,” says Gudjonsson . All this can be done a more likely scenario would see Iceland formally discuss its currency plans with the International Monetary Fund and the Bank of Canada, a process he said would take about three months. Fitch Ratings lifted Iceland’s rating to triple-B-minus in February, citing the country's efforts to stabilize its economy and push ahead with structural reforms.